A dining experience like no other. 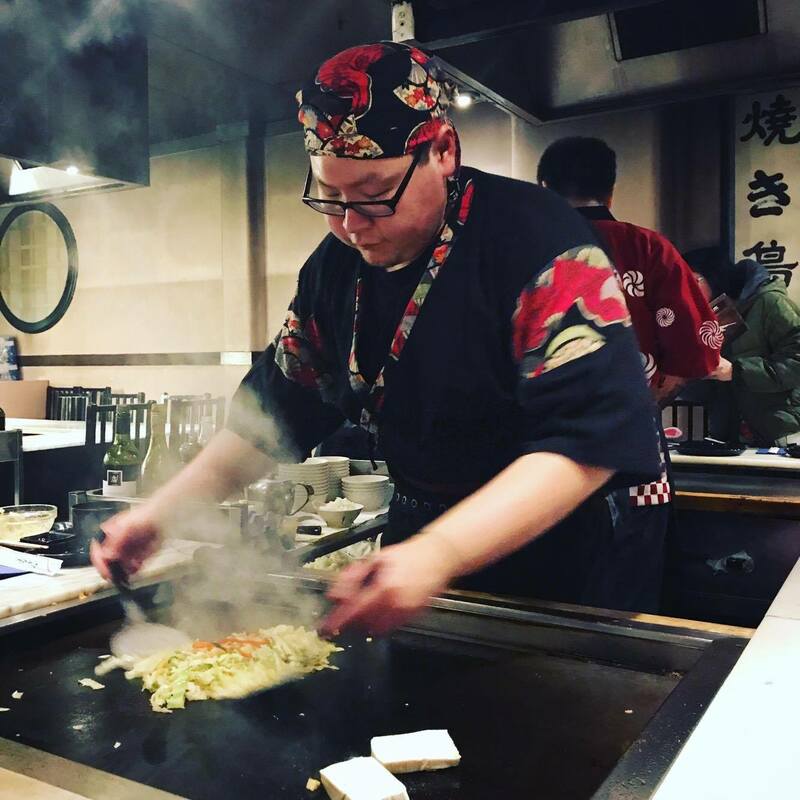 I had never done teppanyaki before, and all I’d heard about it was that they throw food at you so be ready to catch! Fujiyama is on lower Taranaki Street and I have walked past it many a time. When my Mum and my Aunt came down for Mother’s Day, my cousin and I thought it was a good as excuse as any to treat them to a night out at teppanyaki. Reviews on TripAdviser and Zomato suggested to me that this place was quite inconsistent, in terms of both service and food. We turned up at six pm and found a relatively empty restaurant. We got seated around a BBQ, and were joined by another couple of people a few minutes later. We were given menus, that were quite confusing and it took us a while to figure out what to order. 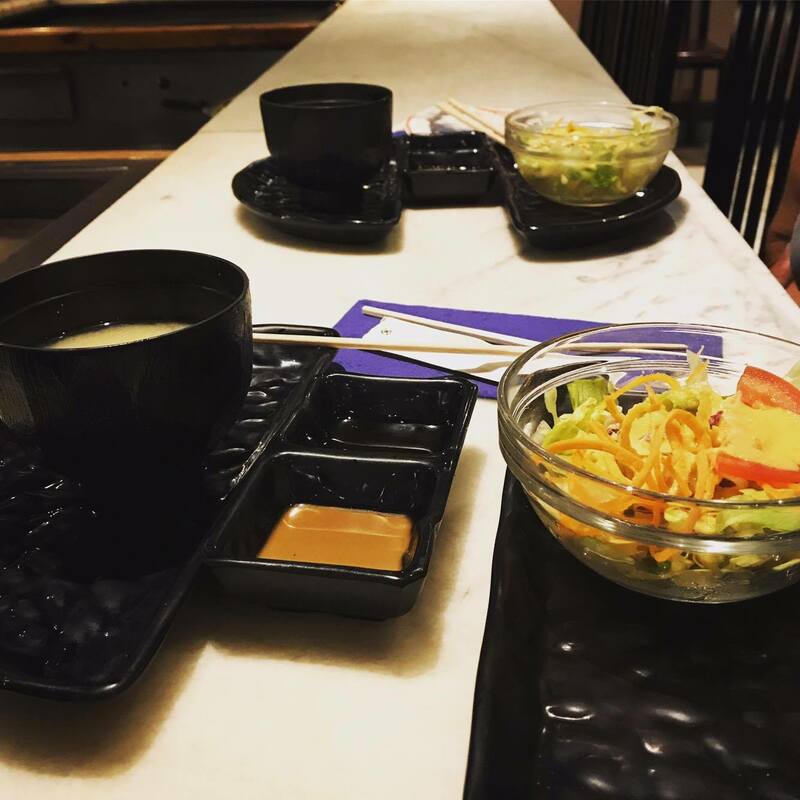 For the full experience it’s worth going for a set menu, which gives you a huge range of different meats and vegetables (there is so much food, there is no risk of going hungry!) but the catch is that at least two people in your group have to be ordering the same set menu. Our chef came out and introduced himself to us and then he started cooking in front of us .Wow, he was such a whizz! He moved so quickly and smoothly, we could barely keep up. But then it was time for the throwing! First up, an egg. The first person to catch an egg at our table missed, and it ended up right through his lap. Mum then missed her egg too, but had cleverly angled her plate so that instead of landing in her lap, it hit the plate and actually bounced back towards the BBQ. We also got thrown our bowls of fried rice, and thankfully no-one missed those! It was a really fun experience, something that I would highly recommend if you have never been before. It is quite expensive though, but you definitely don’t get underfed. It fills up really quickly, and as the night goes on it becomes a pretty loud restaurant.